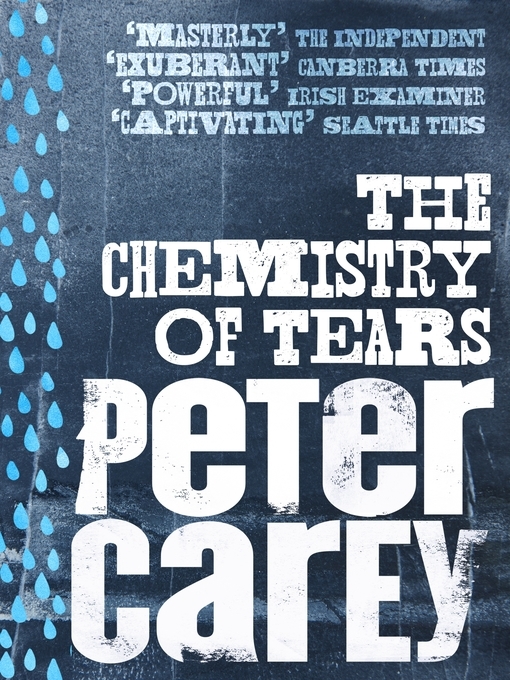 In The Chemistry of Tears Peter Carey delivers a heartbreakingly beautiful and archly inventive story of love, loss and the birth of the machine age. When her lover dies suddenly, all Catherine has left is her work. In an act of compassion her manager at London's Swinburne Museum gives her a very particular project: a box of intricate clockwork parts that constitute a nineteenth-century automaton, a beautiful mechanical bird. It's an object made of equal parts magic, love, madness and science, a delight that contains the seeds of our age's downfall. Once Catherine discovers the diary of the man who commissioned it, one obsession merges into another. Once she discovers that the box also contains the diary of the man who commissioned the machine, one obsession merges into another. Who was Henry Brandling? Who was the mysterious, visionary clockmaker he hired to make a gift for his ailing son? And what was the end result that now sits in pieces in Catherine's studio? The Chemistry of Tears is a portrait of love and loss that is both wildly entertaining and profoundly moving, simultaneously delicate and anarchic. At its heart is an image only the masterful Peter Carey could breathe such life into - an object made of equal parts magic, love, madness and science, a delight that contains the seeds of our age's downfall.